I. Svitlychny & A. Horska Commemoration Meeting was held 20.09.09 at M. Hrushevsky Museum. 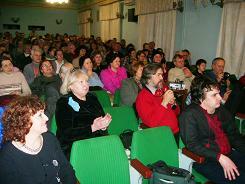 The event was initiated by the Museum of 60-ies (director – M. Plakhotniuk). Some episodes from the celebration of “70th anniversary for two” of I. Svitlychny and A. Horska (in 1964) were reproducted at the meeting. Here is some audio from the meeting, together with some audio from another meeting devoted to I. Svitlychny & A. Horska (held in the Teachers’ House 09.10.09). More photos are here (first event) and here (the second one). 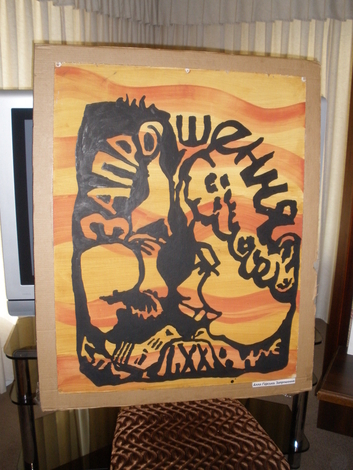 The concert, devoted to Mykola Hohol’s 200-th anniversary, was held 20.03.09 in the Teachers’ House. Ievhen Sverstiuk presented a lecture about Hohol’s life and work, and then there was the concert that included pieces from Hohol’s novels, stories and mailing as well as Ukrainian songs, Shevchenko’s poem devoted to Hohol, etc. 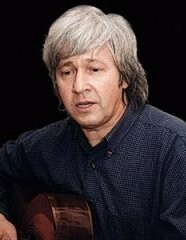 I have performed the same I. Svertstiuk’s novel that on his jubilee concert 16.12.08. 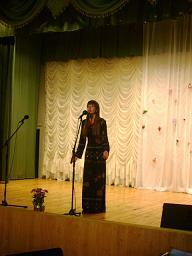 I publish here Sverstiuk’s presentation and two more epizodes: musical duet and I. Zhuk’s song. More photos and in larger size are here.